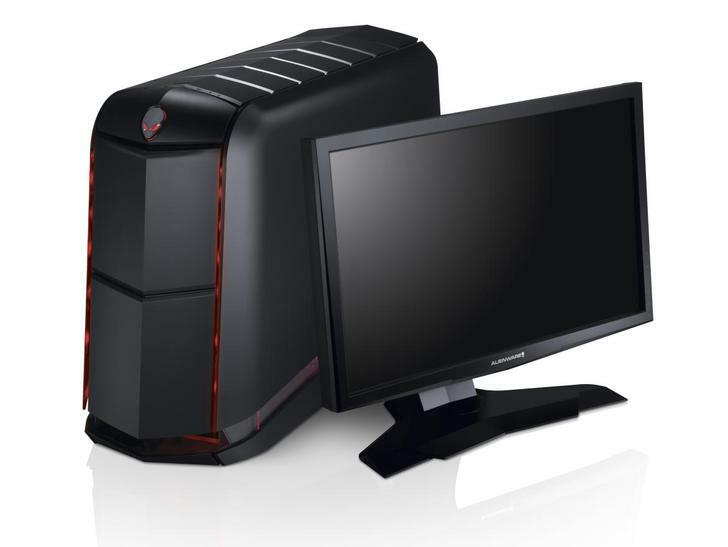 Alienware has launched a new desktop PC which it claims is the 'most advanced gaming desktop ever made' on Planet Earth. The Alienware Aurora's pulsating power comes courtesy of Intel's brand new Core i7-3000 series six-core CPUs and a choice of high-end single or dual graphics cards. Dell claims that "gamers can literally see all that power firsthand" with the ability to run any PC game on maximum settings, though it's unclear whether this claim would stretch to running Doom 2 with all cheats activated. The Intel chip comes factory overclocked and liquid cooled, and is backed up by up to 16GB of quad-channel DDR3 memory and Intel's fancy-pants X79 Express motherboard chipset. The starting price for this monstrous PC is £1,999 though you can expect to pay a lot more than that depending on which configuration you go for. It's also slightly questionable whether this machine will truly be the best gaming machine ever built. While the Core i7-3000 series of CPUs are indeed the best consumer processors on the market, they're not optimised for gaming and offer little (or nothing) for gamers the Core i7 2700K doesn't deliver for less money. Indeed, it's unlikely that this machine would be able to beat the YOYOTech XDNA Platinum machine we reviewed last month on a purely gaming basis, thanks to that machine's faster twin Nvidia GeForce GTX 580 graphics array.